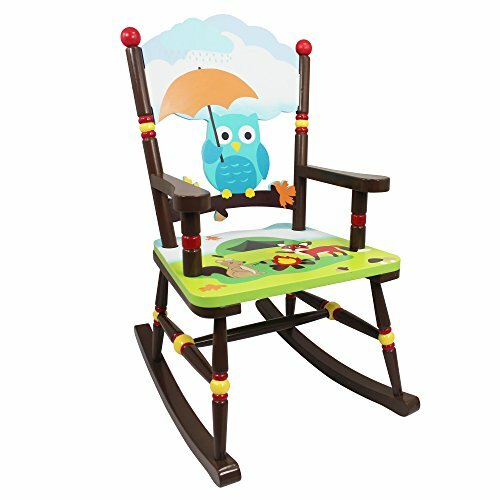 Sit back and relax in a sturdy wooden chair built for the toughest of kids, with the Enchanted Woodland Rocking Chair. Color woodland animals decorate the seat of the chair, and a bright and cheery owl adorns the back rest of the chair. Rock away into your thoughts on this fine chair today!.